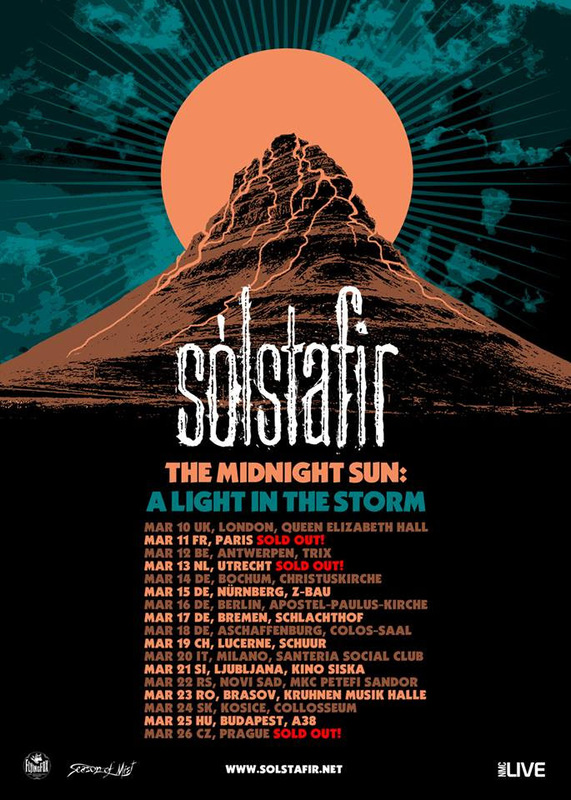 SÓLSTAFIR will kick off their very special European tour on Sunday, March 10 in London (UK). The band will bring 9 band members, as they will be joined on stage by a string section. ‘The Midnight Sun: A Light In The Storm’– tour marks the end of the touring cycle in support of their latest album ‘Berdreyminn’. The massive road-trip will run through 12 more countries before the final curtain falls at the Palac Akropolis in Prague (CZ) on the 26th of March. The band will be touring in support of the Icelander’s latest album, ‘Berdreyminn’ which is streaming in full here. Artwork and further information can be found below. 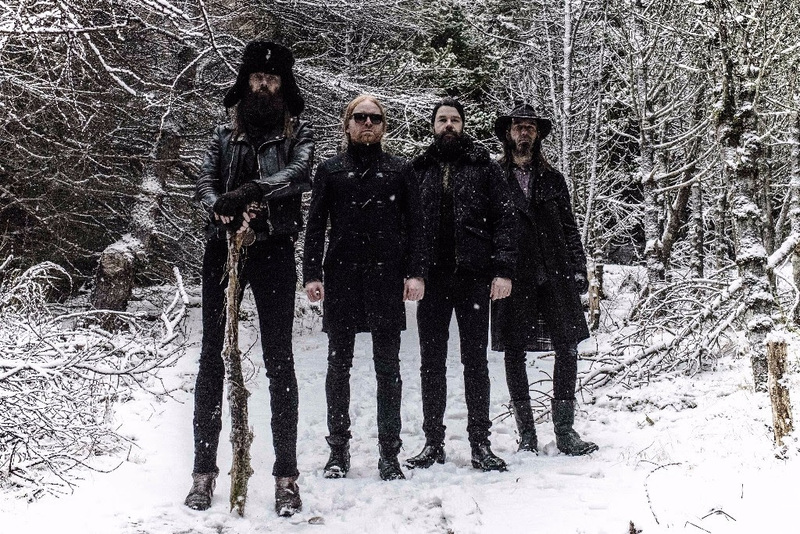 SÓLSTAFIR are not like any other band. Their latest album, ‘Berdreyminn’ underscores this statement. As its title “a dreamer of forthcoming events” aptly describes, the four Icelanders have taken their already impressive evolution one step further. The band has continued to amalgamate haunting melodies, psychedelic phases, as well as strong undercurrents of classic rock and hard rock with echoes of their metal past. 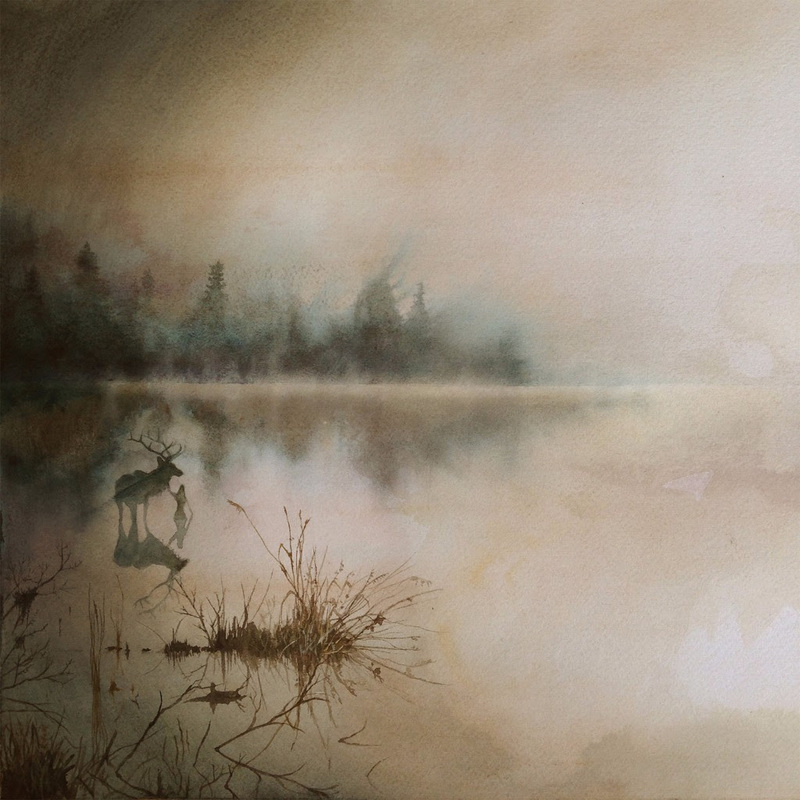 Yet SÓLSTAFIR‘s focus is not on style but pure emotion. ‘Berdreyminn’ is eclectic by a conscious choice to make feelings audible and transform taste as well as texture to sound. Genre borders are not broken but simply ignored. Musical influences are gathered from a wide range of sources, re-arranged, and woven into new patterns. Melancholy, longing, anger, joy, pleasure, pain, and other emotions are fulling this album.